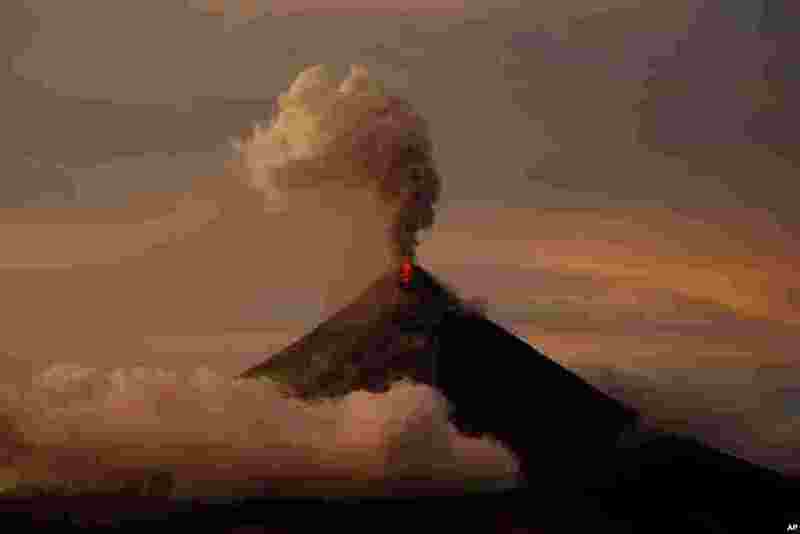 1 The Mayon volcano erupts anew at sunset in Albay province, Jan. 26, 2018. 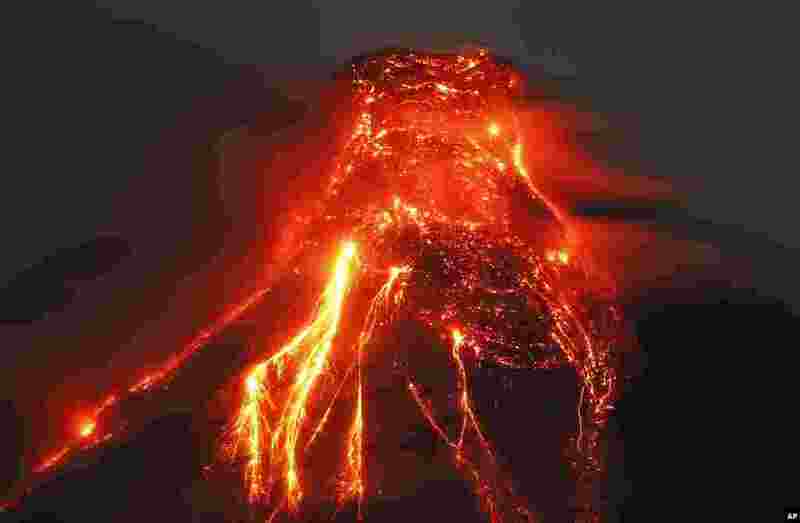 2 The Mayon volcano spews molten lava, Jan. 25, 2018, during its sporadic eruption in the early morning outside Legazpi city, Albay province, around 340 kilometers (200 miles) southeast of Manila, Philippines. 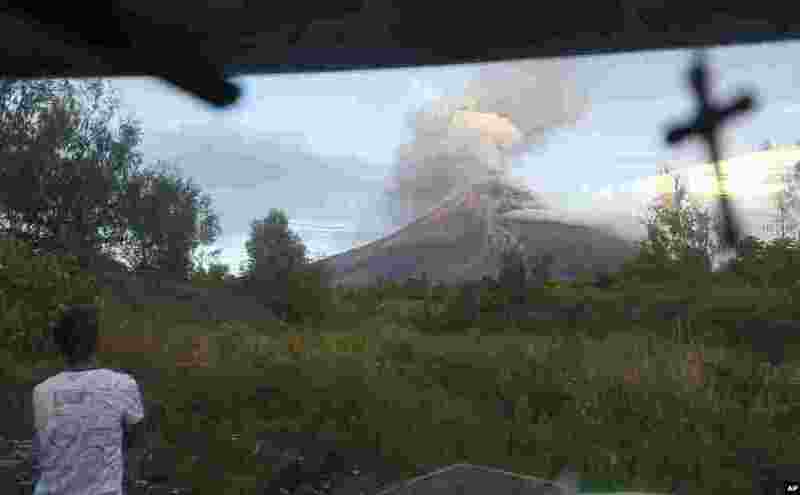 3 A public transport driver pauses, Jan. 25, 2018, to look at the erupting Mayon volcano behind a village in Legazpi city, Albay province, around 340 kilometers (200 miles) southeast of Manila, Philippines. 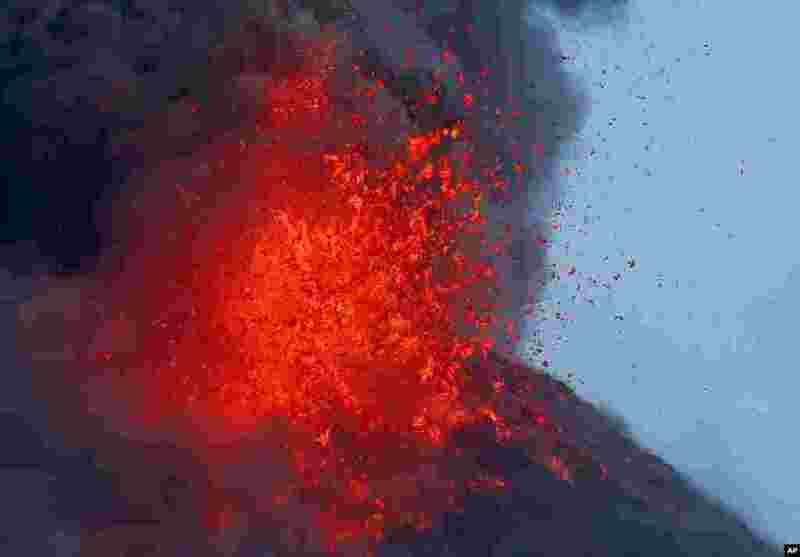 4 The Mayon volcano spews molten lava, Jan. 25, 2018, during its sporadic eruption as seen from a village in Legazpi city, Albay province, around 340 kilometers (200 miles) southeast of Manila, Philippines.